Rose Quartz is called the "love stone" and the pink colour which has long been associated with the energy of love, so it is no surprise that rose quartz is thought to help one attract love as well as to heal from painful love experiences. 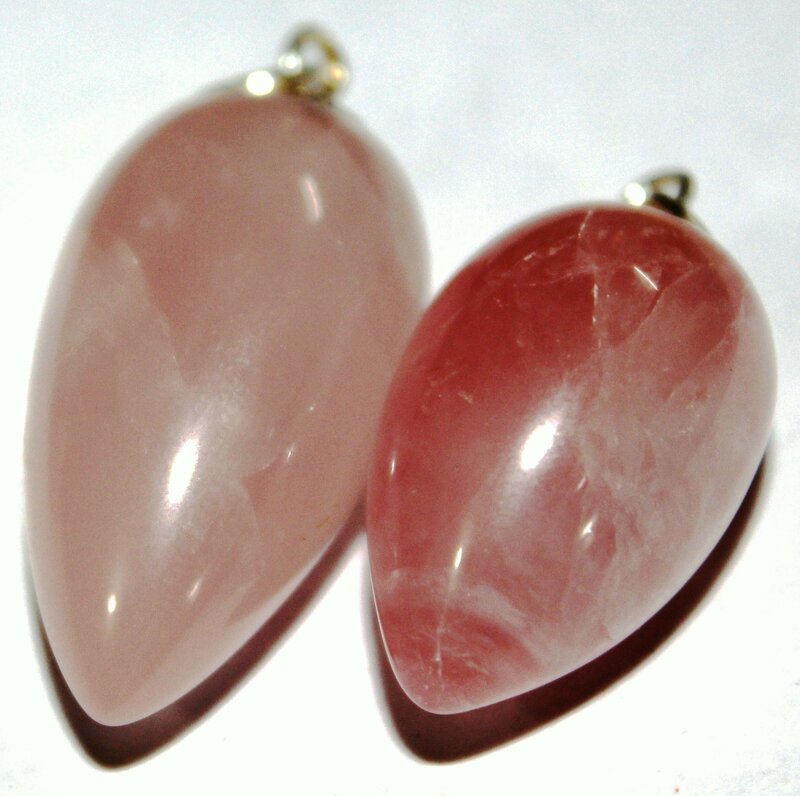 Because of the presence of manganese in rose quartz it calms and heals the heart. The heart-healing properties are the most prominent energy associated with rose quartz. No other crystal or stone is considered equal to rose quartz in helping one dissolve painful memories related to love.Remember that rose quartz is not just a healer, however, it also attracts love. It helps in reduceingoverall stress and tension and can help to cool a hot temper by gently and soothingly warming the heart center. It can help to heal loss and feelings of abandonment by easing childhood traumas, neglect and lack of love and the low self-esteem that this kind of childhood experience produces. It aids in the development of forgiveness, compassion and love. It rules the heart. The value of rose quartz as a nurturing friend cannot be overstated. It can help us discover the ability to love ourselves and makes us more open to other people. It is of particular value in helping us to forgive ourselves, hastening self-acceptance. And it helps us realize that all change is important, even difficult change. It can stimulate love and tender appreciation of all things.